I often say that six-year-old me would be really proud of how I turned out. When I was six, I wanted to be four things: an artist, a paleontologist, a veterinarian and a unicorn. Well, two out of four ain’t too bad if you ask me. I’ll leave it up to you to decipher which two won out, but I’ll give you a hint: I have a B.F.A. in Painting and Art History and absolutely no background in science. Also, I have this weird bump in the center of my forehead, but we don’t have to discuss it. 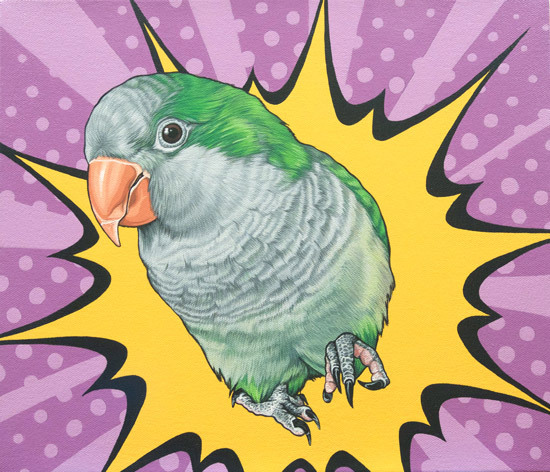 I create custom, hand-painted pet portraits that combine a Pop sensibility with an obsessive attention to detail, capturing your pet’s singular personality. All of my paintings are zero-VOC latex enamel house paint on canvas, and their uniquely slick surface is produced by applying flat layers of paint with a no. 4 liner brush. 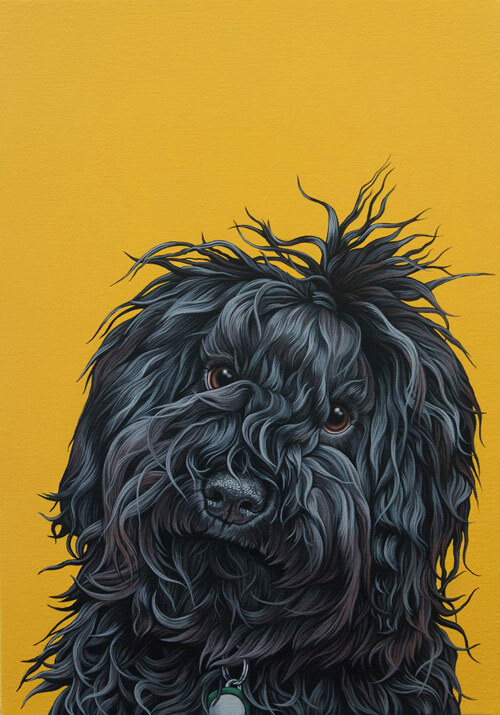 In order to achieve the hyperrealistic quality of my portraits, I spend well over 40 hours with each painting, examining each shadow and nuance, each hair, whisker and feather. After all, I believe it’s the little details that make a portrait come alive, and I have the giant stack of tiny brushes to prove it.